To some people, the auction catalogue for the forthcoming sale of 65 cars from the Citroen Conservatoire collection might seem like one of those chocolate selection boxes you’ll receive this Christmas. It promises so much on the outside, but once you’ve prized open the box, you discover an awful lot of filler and not much in the way of tasty treats. I say to ‘some people’ while acknowledging that to Citroen enthusiasts, this remains a rare and exciting opportunity. Exciting, and perhaps a little dispiriting. Allow me to explain. Back in the summer – remember that? – I was fortunate enough to spend a morning in the Citroen Conservatoire, surrounded by some of the firm’s all-time greats. From concept cars to presidential limos, and motorsport heroes to true icons, the warehouse is like a dimly-lit spotlight on the history of Citroen. While there, I was told about a ‘reserve’ collection: more cars in another part of the building, off-limits to anyone beyond Citroen circles. I tried, unsuccessfully, to gain access. If your name’s not down, etc, etc. Fast forward a few months and Citroen has thrown open the doors to the reserve collection, as it prepares to move away from the sprawling Aulnay-sous-Bois site and to L’Aventure Peugeot Citroen DS in Sochaux. With a collection of more than 400 cars and associated memorabilia, something has to give, which is why 65 vehicles and 90 items of automobilia are deemed surplus to requirements. It all feels a bit like clearing the attic following the loss of a loved one. It’s not that anybody or anything has died – although no cars have been produced at Aulnay-sous-Bois factory since 2012, and the Citroen and DS divorce was a little awkward – it just seems a tiny bit sad to see the collection split up. 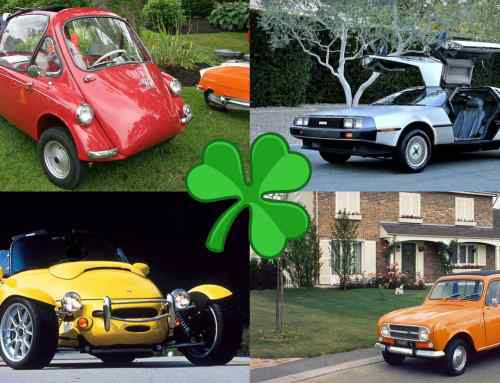 I’ve seen the auction lots described as ‘weird and wonderful’, but to casual onlookers and non Citroenians, the collection will be more ‘weird and a little underwhelming’. You won’t find a proper DS, SM or 2CV in the sale. There is a Traction Avant, mind, which is very much the genesis of modern Citroen. You’re unlikely to find the items of automobilia featured in any auction previews, but there are some genuinely significant lots. Racing overalls worn by the likes of Jacky Ickx, Timo Salonen and Hubert Auriol are expected to fetch between €200 and €500 each. 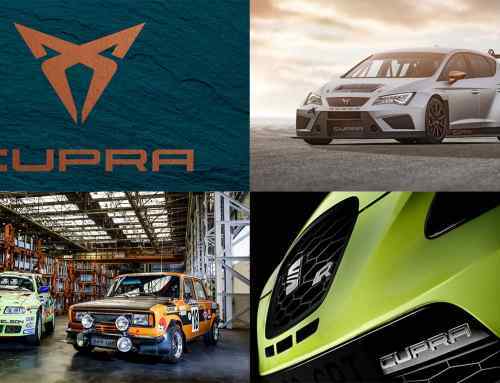 There are numerous photos, brochures, models and dealer display items on offer, along with spare parts for a Citroen ZX Rallye Raid, if you feel the urge to take your ZX Aura to Dakar. Fancy the bonnet from Sébastien Loeb’s Xsara WRC car? It could be yours for between €500 and €1,000. But, as ever, the cars are the stars, so what will see me hovering over the ‘bid’ button come 2pm on 10 December? 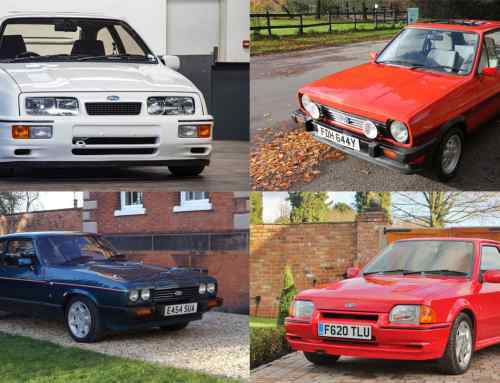 Nobody asked me to create a list of my top 15 auction cars, but here are my favourites anyway. I managed to grab a brief go in a Citroen GS X3 during my visit to the Conservatoire, realising a lifelong ambition to drive one of the best cars my father owned when I was a child. You can read about it here. This Spanish-registered GS is much older than my father’s, and indeed the X3 I drove in July, but it has covered just 921km from new and features the same red interior I remember from my youth. Franco Sbarro has done some wild and crazy things with Citroens over the years, with the Berlingo a particular favourite of the Swiss coachbuilder. The Flanerie is like some kind of theme park safari ride that has managed to end up in a game of Crazy Taxi. There’s an electric Citroen AX available in the auction, but this one appeals because it was donated to the collection by Auguste Genovese, a former director at the Citroen plant in Rennes. It has covered just 11,414km since it rolled off the production line in 1991. When was the last time you saw a Citroen Visa, let alone one as early as this? As a Super, it’s powered by a 1.1-litre four-cylinder engine, and features the wonderfully idiosyncratic dashboard of the early cars. Also, note the polypropylene bumper and grille. Given the crazy prices being achieved by certain performance cars of the 80s and 90s, this Citroen BX GTI has a reasonable pre-auction estimate. It has picked up a few battle scars in storage, but there are only 21,499km on the clock. You have to wonder where the likes of this ZX Reflex will end up. 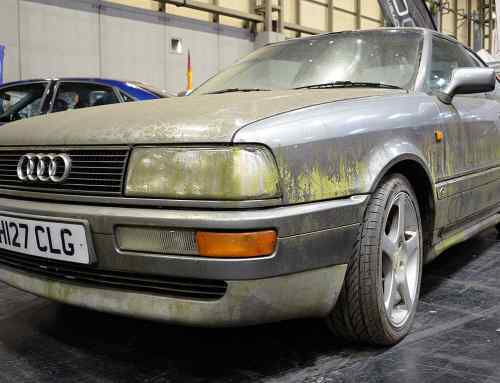 It’s in excellent condition, as you’d expect from a 20-year-old car with 1,765km on the clock, but will it be used on the road or stored away in a private collection? This isn’t the tidiest or lowest mileage Citroen XM in the auction, but it’s arguably the most interesting. It was owned by Roger Hanin, who played the lead role in the French TV police drama, Navarro. Hanin was also the brother-in-law of President Mitterrand. Being polite, this 1961 Ami 6 is blessed with a delightful patina, but in truth, it’s in need of a complete restoration. These were incredibly popular in France, but less so in the UK. Simply wonderful. In mileage terms (15,220km), this is effectively a one-year-old Citroen CX. Not only that, it’s a Series 1, complete with the idiosyncratic dashboard layout and desirable Pallas trim. Oh, to be able to drive home from Paris in this. The C4 Cactus is arguably the most Citroen of modern Citroens, although the facelift version will see it lose some of its eccentricity. This is the C-Cactus concept of 2013, which built on the original design from 2007. It wasn’t a massive leap from concept to production. There’s no Xsara VTS in the auction – although I was told about one in the ‘reserve’ collection – so this phase 2 VTR will have to do. With 477km on the clock, it’s practically brand new, and you’ll stand more chance of becoming friends with Claudia Schiffer if you buy it. Probably. I make no apology for featuring a second Citroen Xantia because this is essentially a brand new and very early 2.0-litre 16v model. The mileage: an incredible 89km. Stick a Ford badge on the front, and you could add a zero to the upper estimate. Don’t be surprised to see this break into five figures. The Tubik was unveiled in 2011 and soon became part of the furniture at subsequent motor shows. My highly original plan for this: turn it into a mobile deli and tour festivals like some kind of Type H van from the future. Restricting myself to 15 cars was tough because the other 50 vehicles hold strong appeal. The C-Elysee WTCC car could be fun, and I’m drawn to the Citela, Iltis and FAF, not to mention the Meharis, in various states of repair. One thing’s for sure: I’m very, very tempted to register for online bidding, with the Xantias top of the wish list. Or maybe I should concentrate on perfecting the cars I already own. It might be sad to see the Citroen collection being broken up and moving away from the famous old factory, but there’s no denying that this is a terrific opportunity for fans of the weird and wonderful. Click here to view the auction catalogue. >NEXT: Is this Europe’s best car museum?